SEC Chair Edith Ramirez has been pretty clear that the FTC plans to look closely at the IoT and takes IoT security and privacy seriously: most famously by fining IoT marketer TrendNet for non-existent security with its nanny cam. Companies that want to avoid such actions — and avoid undermining fragile public trust in their products and the IoT as a whole — would do well to clip and refer to this checklist that I’ve prepared based on the recent FTC Report, Privacy and Security in a Connected World, compiled based on a workshop they held in 2013, and highlighting best practices that were shared at the workshop. Most important, “companies should build security into their devices at the outset, rather than as an afterthought.” I’ve referred before to the bright young things at the Wearables + Things conference who used their startup status as an excuse for deferring security and privacy until a later date. WRONG: both must be a priority from Day One. Conduct a privacy or security risk assessment during design phase. Minimize the data you collect and retain. This is a tough one, because there’s always that chance that some retained data may be mashed up with some other data in future, yielding a dazzling insight that could help company and customer alike, BUT the more data just floating out there in “data lake” the more chance it will be misused. “..train all employees about good security, and ensure that security issues are addressed at the appropriate level of responsibility within the organization.” This one is sooo important and so often overlooked: how many times have we found that someone far down the corporate ladder has been at fault in a data breach because s/he wasn’t adequately trained and/or empowered? Privacy and security are everyone’s job. “… consider implementing reasonable access control measures to limit the ability of an unauthorized person to access a consumer’s device, data, or even the consumer’s network.” Don’t forget: with the Target data breach, the bad guys got access to the corporate data through a local HVAC dealer. Everything’s linked — for better or worse! “.. companies should continue to monitor products throughout the life cycle and, to the extent feasible, patch known vulnerabilities.” Privacy and security are moving targets, and require constant vigilance. Avoid enabling unauthorized access and misuse of personal information. Don’t facilitate attacks on other systems. The very strength of the IoT in creating linkages and synergies between various data sources can also allow backdoor attacks if one source has poor security. Don’t create risks to personal safety. 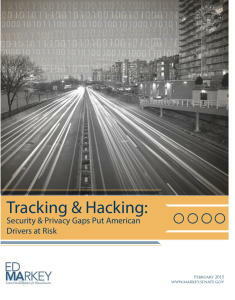 If you doubt that’s an issue, look at Ed Markey’s recent report on connected car safety. Avoid creating a situation where companies might use this data to make credit, insurance, and employment decisions. That’s the downside of cool tools like Progressive’s “Snapshot,” which can save us safe drivers on premiums: the same data on your actual driving behavior might some day be used become compulsory, and might be used to deny you coverage or increase your premium). 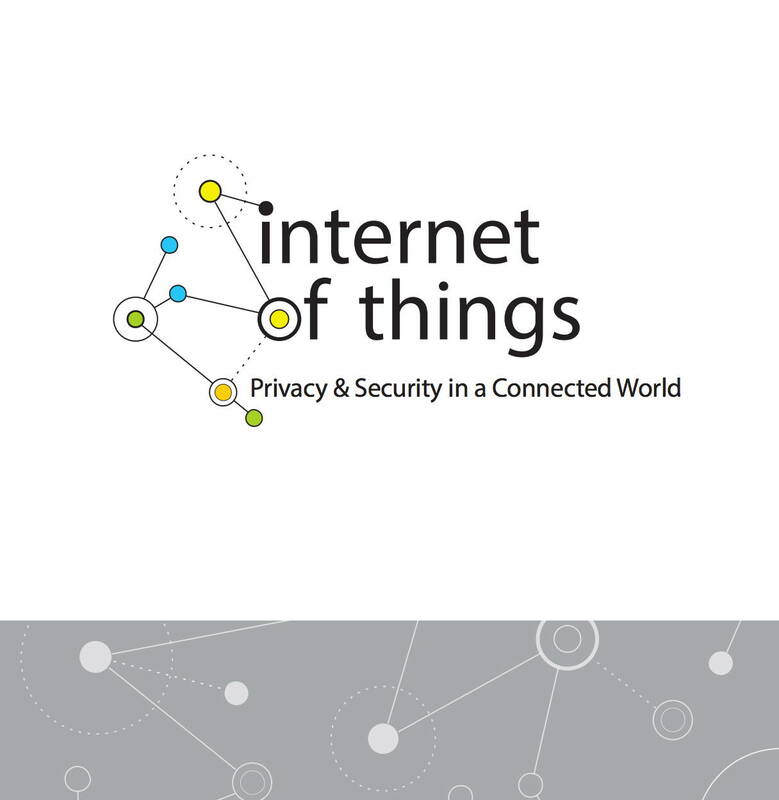 Realize that FTC Fair Information Practice Principles will be extended to IoT. These “FIPPs, ” including “notice, choice, access, accuracy, data minimization, security, and accountability,” have been around for a long time, so it’s understandable the FTC will apply them to the IoT. Most important ones? Security, data minimization, notice, and choice. Not all of these issues will apply to all companies, but it’s better to keep all of them in mind, because your situation may change. I hope you’ll share these guidelines with your entire workforce: they’re all part of the solution — or the problem. The Internet of Things can kill you. Got your attention? OK, maybe this is the wake-up call the IoT world needs to make certain that privacy and security are baked in, not just afterthoughts. I’ve blogged before about how privacy and security must be Job 1, but now it’s in the headlines because of a new report by our Mass. Senator, Ed Markey (Political aside: thanks, Ed, for more than 30 years of leadership — frequently as a voice crying in the wilderness — on the policy implications of telecomm! 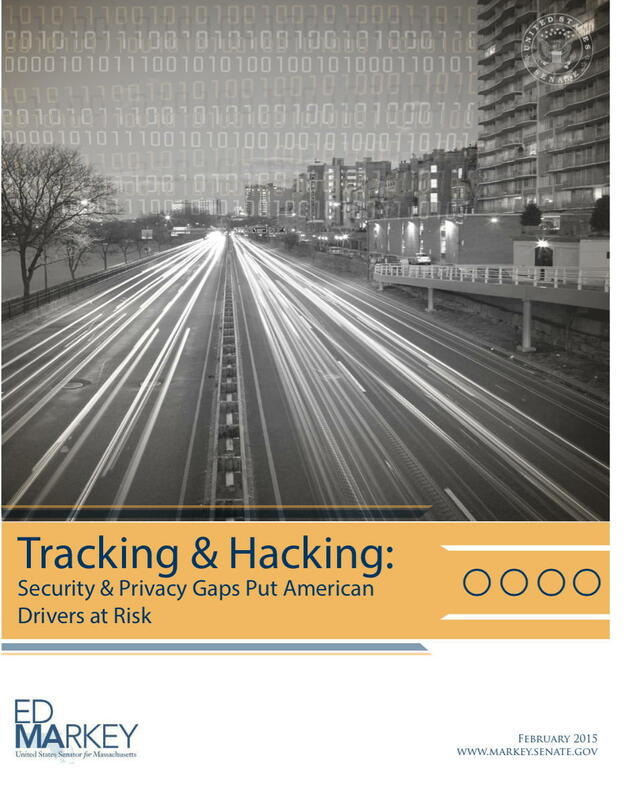 ), “Tracking & Hacking: Security & Privacy Gaps Put American Drivers at Risk,” about the dangers of not taking the issues seriously when it comes to smart cars. “Schrader Electronics, the biggest T.P.M.S. manufacturer, publicly scoffed at the Rutgers–South Carolina report. 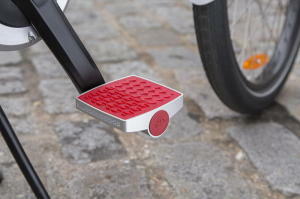 Tracking cars by tire, it said, is ‘not only impractical but nearly impossible.’ T.P.M.S. systems, it maintained, are reliable and safe. Hubris: it’ll get you every time…. “1. Nearly 100% of cars on the market include wireless technologies that could pose vulnerabilities to hacking or privacy intrusions. 2. Most automobile manufacturers were unaware of or unable to report on past hacking incidents. 3. Security measures to prevent remote access to vehicle electronics are inconsistent and haphazard across all automobile manufacturers, and many manufacturers did not seem to understand the questions posed by Senator Markey. 5. Automobile manufacturers collect large amounts of data on driving history and vehicle performance. 6. A majority of automakers offer technologies that collect and wirelessly transmit driving history data to data centers, including third-party data centers, and most do not describe effective means to secure the data. 7. Manufacturers use personal vehicle data in various ways, often vaguely to “improve the customer experience” and usually involving third parties, and retention policies – how long they store information about drivers – vary considerably among manufacturers. In short, the auto industry collects a lot of information about us, and doesn’t have a clue how to manage or protect it. I’ve repeatedly warned before that one of the issues technologists don’t really understand and/or scoff at, is public fears about privacy and security. Based on my prior work in crisis management, that can be costly — or fatal. This report should serve as a bit of electroshock therapy to get them (and here I’m referring not just to auto makers but all IoT technologists: it’s called guilt by association, and most people tend to confabulate fears, not discriminate between them. Unless everyone in IoT takes privacy and security seriously, everyone may suffer the result [see below]) to realize that it’s not OK, as one of the speakers at the Wearables + Things conference said, that “we’ll get to privacy and security later.” It’s got to be a priority from the get-go (more about this in a forthcoming post, where I’ll discuss the recent FTC report on the issue). I’ve got enough to worry about behind the wheel, since the North American Deer Alliance is out to get me. Don’t make me worry about false tire pressure readings. PS: there’s another important issue here that may be obscured: the very connectedness that is such an important aspect of the IoT. Remember that the researchers spoofed the T.P.M.S. system not through a frontal assault, but by attacking the roadside assistance system? It’s like the way Target’s computers were hacked via a small company doing HVAC maintenance. Moral of the story? No IoT system is safe unless all the ones linking to it are safe. For want of a nail … the kingdom was lost! Disney MagicBands: as important symbolically for IoT as substantively! I have no objective evidence for this, but I suspect that many C-level executives first learned about e-commerce when they placed personal orders during the Christmas season of 1995. Thus, Amazon deserves a disproportionate share of credit for launching the e-commerce era. Similarly, I suspect that many C-level executives’ first direct experience with the Internet of Things has come, or may come this holiday season, with their family’s first visit to Disneyworld since Disney began the beta testing of its MagicBands, which are arguably the most high-profile public IoT devices so far. IMHO, Disney deserves a lot of credit for such a public IoT project, especially many of the initial reviews were decidedly mixed due to technical and management glitches — risking irritating customers. The project reportedly cost north of $1 billion. The major lesson to decision makers in other industries to be gained from the MagicBand is my favorite IoT “Essential Truth“: who else can use this data? harvest and analyze big data on customer preferences. The bands, which work because they have RFID chips inside, are worn on your wrist throughout your stay at the parks. When you book the trip, Disney lets you choose your favorite color, and the band comes in a presentation box with your name on it. Before leaving, you can program it in conjunction with the My Disney Experience app and web page, entering key choices such as hotels, your favorite rides (FastPass+), dinner reservations, etc., and your credit card info so that they can be used to pay for meals and merchandise. Disney warns visitors not to pack the bracelets in their luggage, because they are even used to board the transportation from the Orlando airport. Putting aside the programming involved, this had to be a tremendous logistical challenge, changing the hotel locks, installing readers at each ride, putting readers in the restaurants and shops, which probably accounts for many of the glitches that customers reported during the pilot phase. As you can imagine, there are also important data privacy and security issues: on one hand, it would probably be very cool to have Mickey come up to you and say “happy 5th birthday, Jeremy,” but that could also creep parents out, and you’d be worried about someone running up a tab on your credit card if you mislaid the band. From my reading of the most recent media coverage, it appears that most of the beta test problems have been worked out, and that Disney is fully-committed to universal use of the bands in the future. marketing: how it can personalize the customer experience and increase sales? transactions: how can it streamline transactions (have to think that Apple looked carefully at this in designing Apple Pay)? operations: how can real-time data from many users help streamline operations and reduce congestion? Maybe you can write off the family vacation as research! Have fun. I’ll be live-blogging for the next two days from the 2nd Internet of Things Global Summit. will it exacerbate current socio-economic disparities? encryption, especially for health data. follow principle of “data minimization,” only what’s needed, and dispose of it afterwards. clear and simple notice to consumers about possible use of data. transparency: major FTC priority. FTC review of mobile apps showed broad and vague standards on data collection & use. Bakken Shale area visit: “landscape of IoT” solutions — pipeline monitoring, water monitoring, etc. concerned about rapid urbanization: 30% of city congestion caused by drivers looking for parking. $120B wasted in time and fuel yearly. cars: “seamless nodes” of system. yea: highlighting intellistreets — one of my 1st fav IoT devices!! Verizon working primarily on parking & traffic congestion on the East Coast, and water management in CA. Sokwoo Rhee, NIST: Cyber-Physical Systems — emphasis on systems dynamics, data fed back into system, makes it autonomous. Did Smart America Challenge with White House. Fragmentation on device level. Demonstrate tangible effects through collaborations. Examples: health care systems, transactive energy management, smart emergency response, water distribution, air quality. 24 projects. Round Two is application of the projects to actual cities. Now 26 teams. Joseph Bradley, VP, IoT Practice, Cisco Consulting: value isn’t in the devices, but the connections. Intersection of people, data, process, and things. Increase City of Nice’s parking revenue 40-60% without raising taxes through smart parking. They project $19 trillion in value over 10 years from combo of public and private innovations. Smart street lighting: reduces crime, property values increase, free wi-fi from the connected street lights. Barcelona is Exhibit A for benefits. Need: comprehensive strategy (privacy is a contextual issue: depends on the benefits you receive), scalability, apps, data analytics, transparency, powerful network foundation, IoT catalyst for breaking down silos, IoT must address people and process. Ron Sege, chair and ceo of Echelon Corp: got started with smart buildings, 25 yrs. old. 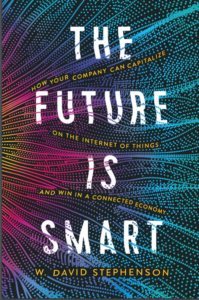 Why now with IoT: ubiquitous communications, low cost, hyper-competition, cloud. They do outdoor & indoor lighting and building systems. Challenges: move to one infrastructure/multiple use cases, will IT learn about OT & visa-versa?, reliability: critical infrastructure can’t fail & must respond instantly. Christopher Wolf, Future of Privacy Forum: flexible, use-based privacy standards. Industry-wide approach to privacy: auto industry last week told NISTA about uniform privacy standards for connected cars (neat: will have to blog that…). Peter Marx, chief innovation officer, City of LA: big program to reduce street lights with LEDs: changed whole look of city at night & saves lot of money. 6 rail lines being built there. Adding smart meters for water & power. EV chargers on street lights. Held hackathon for young people to come up with ideas to improve city. Procurement cycles are sooo arcane that he suggests entrepreneurs don’t do business with city — he just tries to enable them. Chris Rezendes, INEX Advisors: Profitable sustainability: by instrumenting the physical world, we can create huge opportunities for a wide range of people outside our companies. Focusing on doing a better job of instrumenting and monitoring our groundwater supplies: very little being done in SW US right now (INEX investing in a startup that is starting this monitoring). If we have better data on groundwater, we can do a better job of managing it. “Embrace complexity upfront” to be successful. Tobin Richardson, Zigbee Alliance: critical role of open, global standards. Zigbee LCD lights now down to $15. Cees Links, GreenPeak Technologies: Leader in Zigbee-based smart home devices. Smart home waay more complex than wi-fi. 1m chips a week, vs. 1 million for whole year of 2011. “Not scratching the surface.” Small data — many small packets. Todd Green, CEO PubNub: data stream network. no killer app for the smart home.. Controlling by your phone not really that great a method. FTC agrees with me: a few adverse stories (TrendNet baby cam example) can be really bad for an industry in its infancy. FTC: consumer ed critical part of their work. Working now on best practices for home data protection. mitigation after a security breach? Always be open, communicate (but most hunker down!). Eric Openshaw: (had tech problems during his preso: very important one — check the Deloitte The Internet of Things white paper for details) cost savings through IoT not enough for sustainable advantage: need to produce new revenue to do that. Defined ecosystem shaping up, which creates clarity, breaks down silos. study the GE jet model for health care: what if doctors were paid to keep us healthy. get focused on customer and product life cycle — that’s where the money will be. Focus on operating metric level. This is most far-reaching tech change he’s seen. Julius Knapp, Chief, FCC Office of Engineering & Technology: new opportunity to combine licensed and unlicensed space. Described a number of FCC actions to reconsider role of various types of spectrum. “Hard to predict I0T’s long-term spectrum needs” because industry is new: they’ll watch developments in the field. Prof. H. Nwana, exec. director of Dynamic Spectrum Alliance: most spectrum usually not used in most places at most time. His group working to use changes to spectrum to end digital divide: (used incredible map showing how much of world, including US, China, India, W. Europe, could be fitted into Africa). Carla Rath, VP for Wireless Policy, Verizon: “in my world, the network is assumed.” Need for more spectrum — because of growth in mobile demand. Praises US govt. for trying to make more spectrum available. Don’t want to pigeonhole IoT in certain part of spectrum: allow flexibility. Tension between flexibility and desire for global standards when it comes to IoT. Philip Marnick, group director of spectrum policy, Ofcom UK: no single solution. Market determines best use. Some applications become critical (public safety, etc.) — must make sure people using those are aware of chance of interference. Hazem Moakkit, vp of spectrum development for 03b (UK satellite provider for underserved areas of developing world): “digital divide widened by IoT if all are not on board.” Fair allocation of spectrum vital. interesting question: referred to executive of a major farm equipment manufacturer whose products are now sensor-laden (must be John Deere…) and is frustrated because the equipment won’t work in countries such as Germany due to different bands. 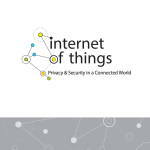 Tom Davenport: IoT highly unpredictable. “Great things about standards is there’s so many to choose from” — LOL. Will IoT revolution be more top down or bottom up? Gary Butler, CEO, Camgian: announcing an edge system for IoT. Driven by sensor info. Need new networking architecture to combine sensing and analytics to optimize business processes, manage risk. Systems now built from legacy equipment, not scalable. They’re announcing new platform: Egburt. Applicable to smart cities, retailing, ifrastructure (I’ll blog more about this soon!!). “Intelligence out of chaos.” Anomaly detection. Real-time analysis at the device level. Focus on edge computing. Must strengthen the ROI. Xiaolin Lu, Texas Instruments fellow & director of IoT Lab: Working in wearables, smart manufacturing, smart cities, smart manufacturing, health care, automotive. TI claims it has all IoT building blocks: nodes, gateway/bridge or router/cloud. Power needs are really critical, with real emphasis on energy harvesting from your body heat, vibration, etc. Challenges: sensing and data analytics, robust connectivity, power, security, complexity, consolidation of infrastructure and data. Big advocates for standards. They work on smart grid. Steve Halliday, president, RAIN RFID: very involved in standards. 4 BILLION RFID tags shipped last year. Don’t always want IP devices. Power not an issue w/ RFID because they get their power from the reader. Think RFID will be underpinning of IoT for long time. Lot of confusion in many areas about IoT, especially in manufacturing. Sky Mathews, IBM CTO: IBM was one of earliest in the field, with Smarter Planet. Lot of early ones were RFID. A variety of patterns emerging for where and how data is processed. What APIs do you want to expose to the world? “That’s where the real leaps of magnitude will occur” — so design that in from beginning. Mark Eichorn, asst. director, Consumer Protection Bureau, FTC: companies that have made traditional appliances & now web-enable them aren’t always ready to deal with data theft. Security and privacy: a lot don’t have privacy policies at all. At their workshop, talk about people being able to hack your insulin readings. Daniel Castro, sr. analyst, Center for Data Innovation: thinks that privacy issue has been misconstrued: what people really care about is keeping data from government intrusion. Can car be designed so a cop could pull it over automatically (wow: that’s a thought!). Chance for more liability with misuse of #IoT data. Linda Sherry, director of national priorities, Consumer Action: “convenience, expectations and trust.” “What is the IoT doing beside working?” Connecting everything may disenfranchise those who aren’t connected. Need to register those who collect data – hmm. Hadn’t heard that one before. Even human rights risks, stalking, etc. — these issues must be thought about. Can algorithms really be trusted on issues such as insurance coverage? How do you define particularly sensitive personal data? “Hobbling the unconnected” when most are connected? “Saving consumers from themselves.” “Document the harms.” Make sure groups with less $ can really participate in multi-stakeholder negotiations. Stephen Pattison, vp of public affairs, ARM Holdings: disagrees with Linda about slowing things down: we want to speed up IoT as instrument of transformation. We need business model for it. Talks about how smart phone didn’t explode until providers started subsidizing purchase. He suspects that one model might be that a company would provide you whole range of smart appliances in return for your data. “Getting data right matters.” “Freak events” drive concerns about data security & privacy: they generate concern and, sometimes, “heavy-handed” regulation. Industry must work together on framework for data that creates confidence by public. Concerns about data are holding back investment in the field. They’re working with AMD on a framework: consumers own their own data — must start with that (if they do, people will cooperate); not all data equally sensitive — need chain of custody to keep data anomyzed; security must be right at the edge; simplify terms and conditions. Sometimes thinks that, in talking about IoT, it’s like talking about cars in 1900, but we managed to create a set of standards that allowed it to grow: “rules of the road,” etc. Conference already underway, about to have 2 new product reveals! Atlas Wearables’ fitness product, Atlas. Their goals is seamless, frictionless experiences. “What if device could recognize specific motions you’re making?” This is really cool: it recognizes and records a wide range of fitness activities, such as push-ups. I really don’t like fact that my Jawbone can’t do that, so this looks good! g data overload. They have a “lifelog” app that tries to make sense of all the data. too many devices that want your attention. Make them complement smart phone as much as possible. is it really wearable, usable? Very funny: no one mentions Apple. 10-ton gorilla in the room???? Amazing preso by Jim McKeeth: “Is Thought the Future of Wearable Input?” Guy wearing Google Glass is controlling a drone! Wouldn’t that be an incredible thing for “Smart Aging” to allow a frail elder to control various household things just by thinking them? APIs make connections. The Epocrates platform from Athena Health is an example: may save $3.5B. Also working in travel. Example is Sabre, which has switched to an open API. APIs create better customer experiences: Apple Pay! 30% of Starbucks revenue from its phone purchase app. Quick time to market: Coke was able to restock vending machines instantly during 2012 Olympics through API. This, IMHO, is sooo important: open APIs are great example of my Essential Truth of “who else can use this data?” — you don’t have to develop every kewl use for your device yourself: open the API and others will help! iPhone: remember, it was a 3-in-one solution. era of augmentation: making you better without you having to think about it. they let content publishers (they work with Stanford Health, UnderArmour, etc.) in rehab area to push info to devices. Prescribe workouts. Device agnostic. They’ve imported 65 different activities into program. Track: heart rate, pace, position, speed, endurance, breathing, sentiment. BeClose is working with seniors!! Samsung working with airports to make flying experience more enjoyable. BeClose: take some of burden off health care system. how government can help: faster networks. “First, do no harm.” — Digital Hypocratic Oath. To be operational, data must be intuitive, instinctive, interoperable, and wearable. Creating fire jackets with sensors built in. beacons are Bluetooth v4.0 Low Energy transmitters. mobiles can identify and determine proximity to beacon: usual range is 25 to 40 m, but you can tune it to much shorter range. beacons broadcast unique identifier for the place. Also provide Measured Power Value: what’s signal strength of beacon at specific distance. the beacon only sends out a unique identifier, which triggers the app contains all the info that drives the experience. app is notified whether you’re in immediate range, near, or far range (might even want to present content when person exits the area). beacons protect privacy by being opt-in. They are transmit only: don’t receive or collect signals from mobile devices. Apple requires that the app specifically ask user to allow proximity-aware mobile app to access their location. non iBeacon versions: AltBeacon (Radius Network’s opsolves en source alternative), and other ones that specific companies will introduce, optimized for their products. Radius multi-beacon: solves fragmentation problem or multiple, incompatible beacon ad types. Their RadBeacons handle both types. RadBeacon: USB powered, coin-cell battery powered, AA battery powered. Most beacons will only last about a month before battery change. Future of beacons: will be split in market: corporate (one of their questions has rolled out more than 16,000 — they won’t powered or long-battery-life versions & remote monitoring) vs. consumers (cheap & disposable). Will be integrated into equipment (wifi access-point hotspots, POS terminals, fuel dispensers, self-service kiosks. Data can be stored on smart phone OR uploaded to cloud. What control does user have? What if you have health wearable that sends info on blood pressure, etc., to cloud, where it gets shared with companies, and, for example, it can link data to your Facebook data, could be risk of disclosure. HIPPA and variety of other regulations can come into play. Things moving very quickly, data captured & used. Example of Jawbone data from people who were sleeping during California quake: users upset because the data was disclosed to news media — even though it was just aggregated, was creepy! FTC went after the Android flashlight app that was aggregating data. A no-no. have to make it simple to understand in statements about how your data will be collected & used. Tiles: if the device is gone from home, will send alert to ALL Tile devices. You might be able to modify the software so you (bad guy) could retrieve it it while the owner would think it was still lost. Stalker might even be able to use this data.. Example of McLean, the developer of intermodal shipping container. Hmm: does Amyx know about how Freight Farms has created IoT-enhanced food growing in freight containers??? future of M2M will allow sensors with embedded processors — smarter than today’s computers. memory: over time, memory will only grow. wifi: most locked networks are idle most of day. Harness them. lifi: 2-way network to turn any light as a network. Higher-speed than wifi. mesh networks (long-time fascination of mine, especially in disasters): every node creates more powerful network. Can’t be controlled by a central gov. they’re testing a system that would tell what a person really feels while they’re in store, film companies can test from pilot whether people will really like it. Creepy?? working with Element to bring this to fashion show: would gauge reaction. IoT won’t be great leap, but gradual trend (like my argument that companies should begin with IoT by using it to optimize current manufacturing). incredible vision of how you’ll drive to a biz appt. in driverless car, you’ll get briefing on the meeting from your windshield. opportunities at every stage of the IoT development shift.